Tulum, tierra mágica, one of my absolute favorite spots on earth. All the natural elements that are incorporated into the designs in this boho-heaven are beyond inspiring and make every corner picture perfect. A sacred place where I go to recharge, restore, connect and hack into my flow state. To witness consciousness to the very next level is inspiring. From street signs with sthought-provoking messages immersed in the nature surrounding them by one of my favorite artists, Olivia Steele, to spaces that engineer ways of thinking. In this community of intention, every corner is just high-vibe visual heaven. Being surrounded by a space that supports you is priceless and has such beauty to it. It makes me so happy to have inspired so many of you to visit one of my favorite places. I get asked for recommendations ALL THE TIME. *I love to start my days with some morning yoga and breakfast at Hotel Sanará. Their insane 360 oceanfront yoga studio + carefully curated wellness restaurant elevated by the beach, The Real Coconut make it the perfect morning spot. I love having a green juice, some wellness shots (they have so many) and a turmeric-ginger latte. Most hotels offer yoga class so make sure to check with your hotel if you're not in the mood to venture out :). I also like the yoga classes at Nomade, Azulik and Habitas. * If you're into sound healing, I recommend booking a sound bath healing session with Alessandra Montana at Sanara. They offer a weekly class or you have the option to book a private one with her. * workshops: there is always tons of cool workshops at Nomade. From cacao ceremonies to human evolution you can literally find anything and everything. They also have a gratitude tent + a chime jungle that I always make sure to visit. Oct. 2016. Pictures of that time there was a swing inside the chime jungle. *Yaan wellness energy spa: If you have time for a massage or holistic treatment make sure you stop by yaan. The space is beautiful and recharging. It's right across from Nomade. I always love trying out new hotels in Tulum. These have been the hotels I've stayed that are my personal favorites so far. There are so many different options so make sure you do your research. I think la valise is my new fave. It is a relatively new boutique hotel. It feels like a private beachfront villa, with a living room, pool and dining table. The beachfront rooms on the second floor are so insane and everyone here is so nice. Definitely my vibe! Nomade is my first love. When I walked into this property for the first time was when I fell deep in love with Tulum. It has the best vibes, best music, best food, best crowd, best high vibe workshops and best everything. This is where the famous chime jungle I've referenced many times is located. This is also the hotel I've stayed the most in Tulum. Be tulum is a super cool, hip and trendy. It has the best vibes! They have an elevated bar overlooking the jungle and ocean. They also have amazing music and the food is heavenly. I love their grill. I love their pools and the crowd and music is always good. Care to stay in Pablo Escobar's old mansion turned into an art-filled boutique hotel? Yes please. I mean, do you really need anything else to feel like Pablo?? This hotel is insanely gorgeous and picture perfect in every corner. The bar is super cool, it has a beautiful pool and hammocks everywhere- need I say more? Sanara is a luxury eco chic hotel and wellness center with one of the most breathtaking yoga studios. The vibes here are definitely more chill and very focused around wellness. The food at The Real Coconut is so good. Love the whole concept here! The vibes at habitas are life. The rooms are super boho-chic tents so not the usual. Food is amazing. Good music. The pool and restaurant are to die for. You will love it. Other hotels I haven't stayed in but can recommend: Hip Hotel, Encantada, La Zebra, Maria del Mar, NEST Tulum. I always have a different experience depending on where I stay and love trying out new places. Each hotel definitely has its charm. •walk by the beach coast + explore all the hotels in the coast, my faves to explore: casa malca, nomade, be tulum, sanara, chiringuito, habitas and azulik but there is always tons of new charming hotels (recommend starting the walk at casa malca, the furthest as the first 3 are next to each other and the last ones closer to the pueblo). * bike rides = life when in tulum. this is how I explore the jungle side, there is tons of cute little shops. *watch at least ONE sunrise. *read or journal. nothing like relaxing in a beach hammock with a book, or laying in the sun with your journal to download some profound thoughts. *stargaze!!! the night sky is insane! i've seen shooting stars, planets and parts of the milky way galaxy. 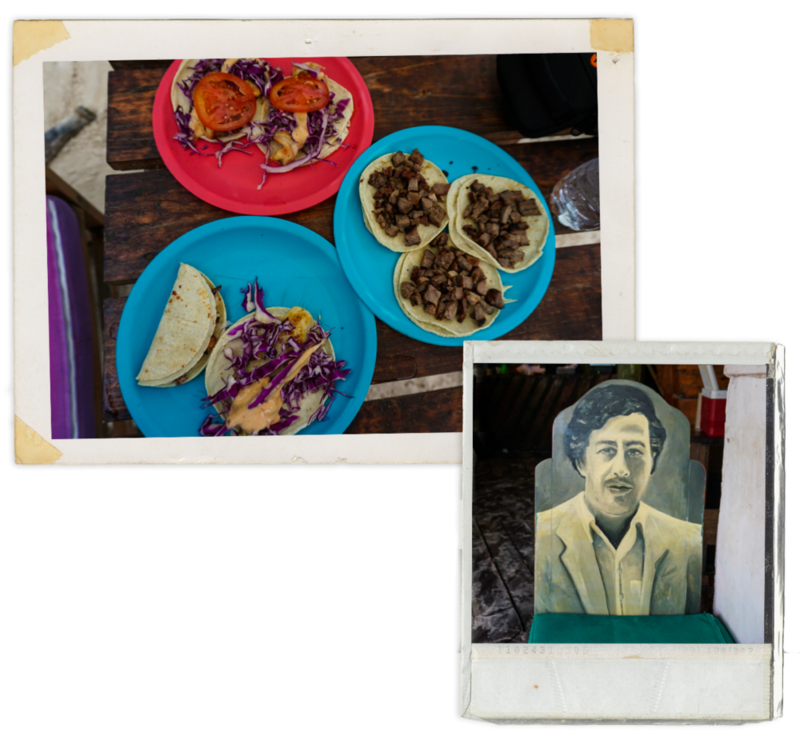 I love that in Tulum there is a large variety of healthier food options. Even if you aren’t a health nut that only eats raw food, you’ll still appreciate not feeling weighed down by every meal. I've never had bad breakfast in Tulum. Everything is just soooooo good everywhere! •Matcha Mamma for best matcha everything (smoothies, bowls, lattes) on the road. •Raw love for the best açaí bowls!! • Breakfast at your hotel, chances are it's insane. •The Real Coconut at Hotel Sanara- it’s all incredibly healthy and delicious! 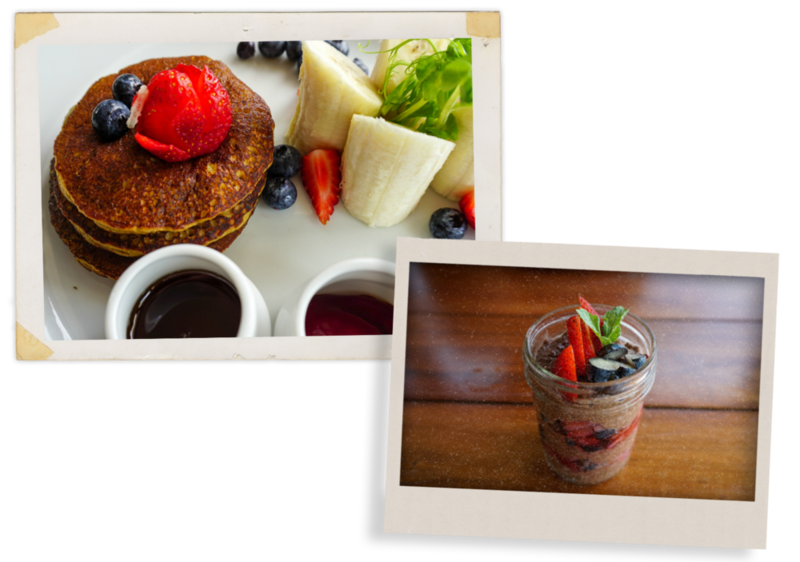 I love the chocolate chia pudding and banana pancakes. • Ojo de Agua. I already loved this place in Mexico City, so the fact that they opened in Tulum makes me love it even more! Make sure you try the peanut butter acai bowl! •Casa Malca and Nomade also have really good breakfasts. There is green juice and healthy options almost everywhere you go. GUAC BY THE BEACH? Count me in! I love having lunch by the ocean. Fewer things in life bring me more joy. I love the food at the beach restaurants at Nomade and Be Tulum. Posada Margherita is definitely one of my favorite spots to have lunch! A must if you want the best italian by the beach. This cute little place is also picture perfect in every corner. Totally worth the break from Mexican food (which is not something I say lightly). •Best lowkey tacos at eufemia, hip place by the beach- just watch your bike here (they almost stole mine). The food is delicious almost everywhere you go. I love dining on the jungle side. It is super charming and romantic for dinner time. Check in with your hotel to see if reservations are required. kin toh at hotel azulik for some drinks on a treehouse. coco beach bar full of swings by the beach. nomade and be tulum for good vibes & good music! Thursdays: casa jaguar is the place to be on thursdays (also for dinner). everything is SO good! Make sure you try the tuna tostadas and please have the Copal and Maria Sandia mezcal cocktails. Friday: And on Friday's in Tulum, you go to Gitano- my favorite mezcal bar! Amazing jungle vibes, bar and music! The drinks are just sooooo good here! Saturday : Papaya playa- specially every full moon 🌕 they have an amazing party (if you happen to be around). This is definitely more of a big party vibe. ps: their lunch tacos are really good! It is such a small community so make sure you ask around to see if there is any other cool events going on while you're there! Las Ruinas de Tulum: The closest ruins to Tulum. So worth it! Make sure to get there early for the best pictures/less people. I don't recommend taking the tour, I really felt like it was a waste of time since they are so small. I literally ditched my tour guide halfway through. LOL. Sian Ka'an Ecologic Reserve: Centro Ecologico Sian Ka'an (CESiaK) is a nature lover's paradise. Designated a UNESCO World Heritage site. There is so many beautiful cenotes in the whole peninsula! In Tulum, you can find Cenote Dos Ojos and Gran Cenote. Chichén Itzá, the Mayan ruins on Mexico's Yucatán Peninsula are a 2hr drive from Tulum. If you're in town for a few days I highly suggest you make the trip! Isla Holbox- Hammocks and swings in the ocean? AMAZING!! Isla Holbox is an island north of Mexico’s Yucatán Peninsula. It's part of the Yum Balam Nature Reserve. Las Coloradas- I mean, pink lakes! I don't think I need to say anything else. Bring cash. A lot of the bars/restaurants are cash only. my advice is to take out cash from one of the airport ATMs or in the tulum pueblo. The ATM's in the hotel zone tend to run out of cash. Make sure to ask your hotel the local exchange rate and regular taxi fees to avoid getting scammed. Bring (organic) bug spray, it is a jungle! 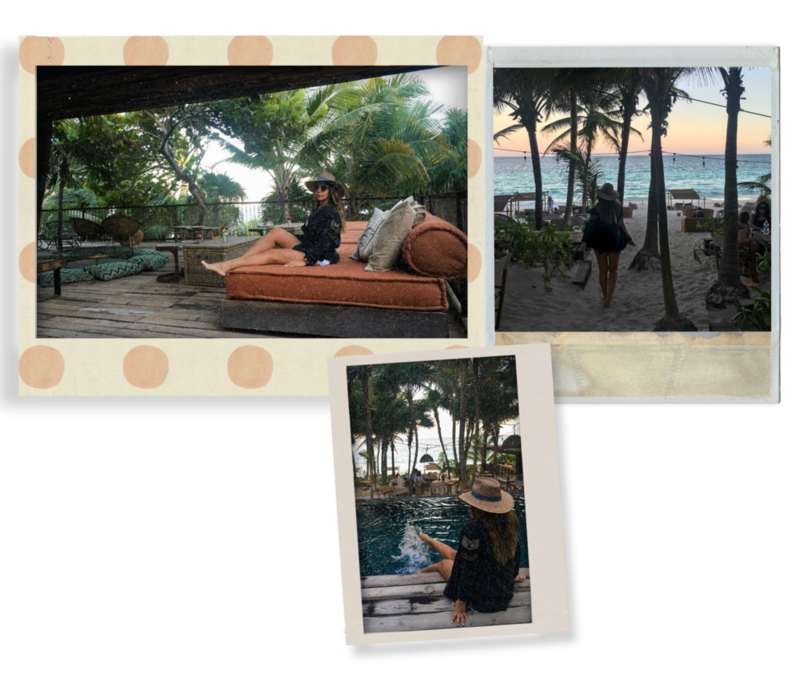 Check the hashtag #mariellyxtulum for more pictures of my trips to this magical place. HAVE YOU EVER BEEN TO TULUM?? IS THERE ANYTHING ELSE I SHOULD KNOW? LEAVE ME YOUR THOUGHTS/QUESTIONS IN THE COMMENTS BELOW!